Your dream Porsche will give you plenty of driving pleasure. With the Porsche Approved Certified Pre-owned limited warranty, you will experience yet another good feeling. As you would expect from us, the Porsche Approved Limited Warranty is comparable to our new car warranty; it’s 100% Porsche. The Porsche Approved Limited Warranty applies throughout Canada and the U.S. and can be redeemed at every Porsche Dealer. It covers 100% of the cost of parts and labor for covered components. During the warranty period you will pay no deductible in the event of a claim. Your local Porsche Dealer will be happy to inform you about services, warranty and exemptions. Porsche Approved – this grade is given to pre-owned Porsche vehicles which meet the quality standards of the Porsche brand. This is how you can broaden your choice between a new and a pre-owned vehicle by one additional option: a Porsche Approved vehicle. Buying a Porsche Approved Certified Pre-owned Vehicle means that your dream will remain unbroken. In fact, we are so confident in our high standards that we put our name on it: Porsche Approved. 2 Years / Unlimited Miles Warranty coverage after the expiration of the new vehicle limited warranty or from the date of sale if the new vehicle limited warranty has expired. The Porsche Approved Certified Pre-Owned Limited Warranty is 2 years, unlimited miles for any vehicle sold for the first time certified on or after 12/1/2017. 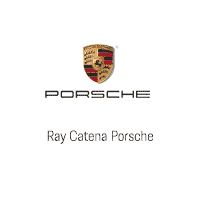 This warranty is given to the owner of any qualifying Porsche Approved Certified Pre-Owned vehicle (distributed by PCNA and sold by an authorized Porsche automobile dealer in the United States). This warranty is not valid on sales by any non authorized commercial dealer or broker. If this vehicle is traded to a non-authorized Porsche dealer or broker for resale purposes, the Certified Pre-Owned Limited Warranty is void.